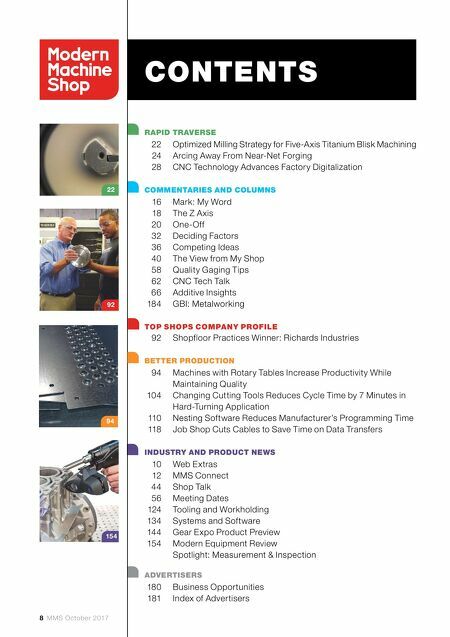 Tim Thiessen VP of Sales and Marketing Okuma America Corporation In manufacturing, the more intel you have, the better. And the customer feedback we get from our distributors is priceless. Our distributors are the familiar face who know every inch of your shop and have been there with you every step of the way. That's why they're so invaluable to us, and to our customers. 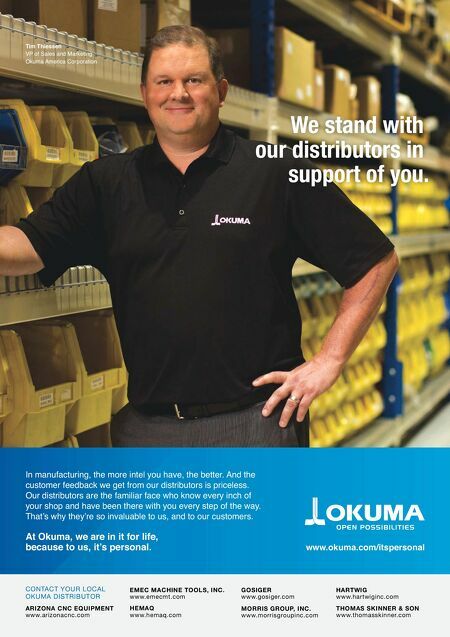 At Okuma, we are in it for life, because to us, it's personal. www.okuma.com/itspersonal ARIZONA CNC EQUIPMENT www.arizonacnc.com EMEC MACHINE TOOLS, INC. www.emecmt.com GOSIGER www.gosiger.com HARTWIG www.hartwiginc.com HEMAQ www.hemaq.com MORRIS GROUP, INC. www.morrisgroupinc.com THOMAS SKINNER & SON www.thomasskinner.com CONTACT YOUR LOCAL OKUMA DISTRIBUTOR We stand with our distributors in support of you.